Image: Shutterstock / Featureflash Photo Agency. Best celebrity tweet ever? Carrie Underwood publicly expressed her deep gratitude — and revealed her massive mama mistake — in a tweet on March 31. “Thanks to the nice lady who offered to buy me a drink at lunch today after I carried my naked, poo-covered, screaming baby up the stairs and back to my table. It was a rookie mistake leaving the diaper bag at the table and only taking a diaper and 2 wipes. Never again.” Underwood also added two perfectly combined emojis: a glass of win and a sweet blond babyface. Oh, yes. We’ve all been there as mamas. Things are going well. You get a little too cocky, a little too confident. You jauntily head to the restroom changing table with only one diaper and a delicate fingerful of wipes, planning to return unscathed to your Eggs Benedict in a few minutes when the Poo Apocalypse hits and wipes out all plans of a pleasant brunch. We love that another woman came to Underwood’s aid, offering immediate help in the form of a stiff drink. That’s how we fix each other’s crowns, people. Underwood is full of thanks lately. 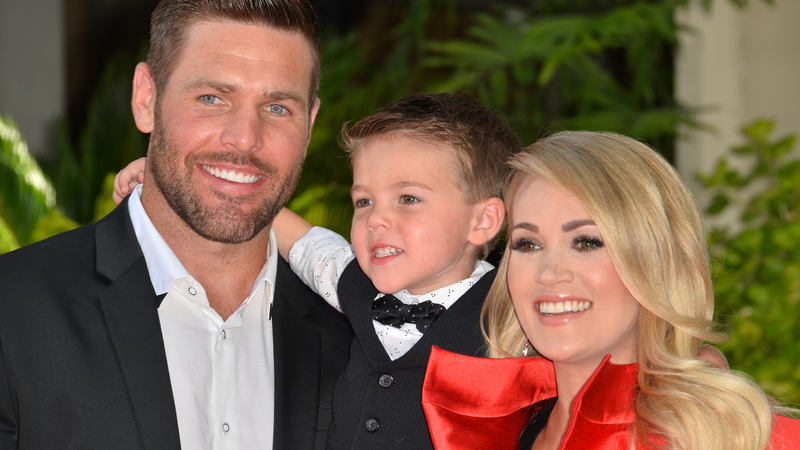 On March 30 she tweeted love and gratitude to her husband, Mike Fisher, for giving her a few hours of extra sleep. The singer had her second baby in January — after several miscarriages — and is living the full-on newborn mama life and it’s brutal. Underwood announced the birth of Jacob Bryan on Instagram. She and Fisher also share another son, Isaiah. Carrie, we feel all your newborn-mama pain. Hang in.